Article: This Way Up 2018: To screen or not to screen? This article is a summary of highlights from a recent public event that took place at This Way Up in December 2018. Just as 2017’s This Way Up was drawing to a close, an important question came from the floor. Paraphrasing, it was along the lines of: should exhibitors continue to screen works by known offenders or should we, as an industry, agree to no platform for those filmmakers? The question followed on from the conference’s safeguarding session, which looked in depth at the ethical obligations of our industry to protect new, young and vulnerable workers across all parts of the value chain. 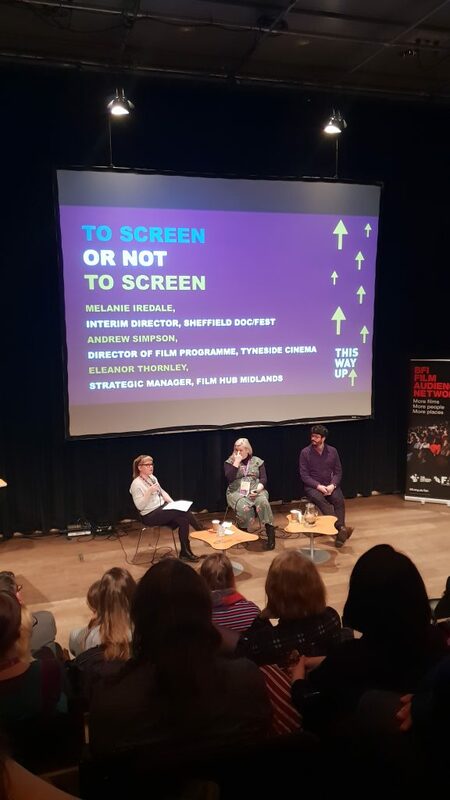 At TWU18, Melanie Iredale, Interim Director of Sheffield Doc/Fest chaired the highly-anticipated panel on exhibitor responsibility and programming ethics: to screen or not to screen? Joined by Andrew Simpson, Director of Film Programme at Tyneside Cinema and Eleanor Thornley, Strategic Manager for Film Hub Midlands, the panel explored personal, organisational and critical approaches to programming that engaged with the complexities of curating context, interrogating intent and developing audiences. Andrew Simpson spoke about the conflict he felt in curating a specific season that included films by Roman Polanski. While the season was not a director retrospective or a celebration of the filmmaker in any way, he still found himself questioning whether or not to include Polanski’s films. Owing to the nature of the programme theme, he decided that not only would they fit with the wider season but that it would in fact be remiss to ignore parts of film history that 1) exist, 2) are a problematic piece of an already complex and dripping in inequality industry and 3) that he was ready to have the conversation with the audience about why the films were included, but also why this was not a platform for celebrating Polanski. This was one of many examples given from both the stage and the room about curatorial intent. One of the strongest sentiments to come out of the room was that whether or not the decision was defensible and whether or not the decision was even one that the curator or organisation felt 100% comfortable with, it was important that in pulling together such seasons, retrospectives and even new release screenings that curatorial and marketing teams understand and interrogate before advertising and promoting the films, why they are being programmed and put in front of audiences. If the curator or organisation can make clear their process then the audience can be given the power to decide what is seen and where the conversation goes. This is not suggested as a way of letting exhibitors off the hook when it comes to programme ethics, rather it is about engaging in critical reflection and rigour as an everyday part of exhibition and not waiting for a response to interrogate one’s own practice. Eleanor Thornley talked about the two sides of audience development in both letting the audience lead and also in offering expertise and education as guidance in engagement. Sometimes, because life is difficult enough, audiences just want to relax when they go to the cinema and they don’t even know or potentially care who made the film or what they’re alleged or convicted of. There’s also the collective nature of filmmaking to consider; on all of the many films Harvey Weinstein produced, countless great cast and crew worked tirelessly and ethically. Conversely, it’s our responsibility as industry insiders, who do have an eye on who and what is happening every day in screen culture, to ensure we communicate our rich and wide knowledge to our audiences. After all, that is at the very heart of what we do. Revealingly, Simpson noted that the anticipated backlash against screening a Polanski film never came. Examples from the room also included audiences not being bothered about able-bodied actor Daniel Day-Lewis playing the lead role in My Left Foot (a practice that Jenny Sealey spoke out against in her TWU17 keynote address). Though these examples should not serve as reasons to screen such films, they do complicate the conversation in understanding how to approach audience development. The biggest question the conversation then raised was to do with where and how each individual curator and organisation comes to decide where their line is in taking a no platform stance. The recent example of a Woody Allen film that no one seemed to screen or especially engage with was an easier decision based on the poor quality of the film itself. 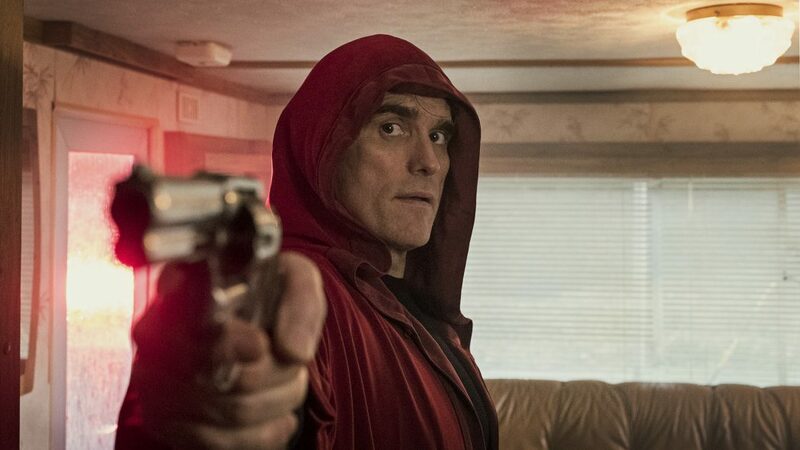 Lars von Trier’s The House That Jack Built, however, is set to screen at independent cinemas across the UK. No collective consensus could be given on whether or not the room, for example, would or would not screen a new Woody Allen film if it were of the calibre of his most recent art house hit, Blue Jasmine. While no answers were reached, the session was considered and left everyone with plenty to think about in pulling together 2019’s post-#MeToo and #TimesUp programming.